A young volunteer plants cactus! 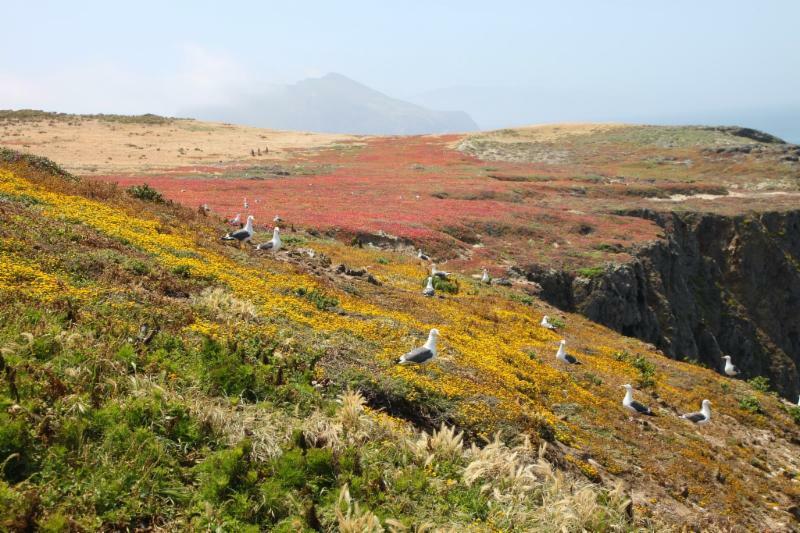 For the third year in a row, outdoor retailer REI has supported the Anacapa restoration project by providing a grant to CIR for native plant installation on the island. The funds were granted to Channel Islands Restoration, which works in partnership with the National Park Service on the project. Over the course of six trips, 30 volunteers planted several hundred plants including sage brush alkali rye grass and coastal prickly pear cactus. The volunteers who helped on these trips were all associated with local conservation groups or were employees or members of the local REI stores. Ventura Surfrider Foundation and the Santa Barbara Zoo. Most of the trips were led by Kelle Green, the CIR nursery manager and all around NPS volunteer. The groups worked hard, and also had an opportunity to take a short walk on the island following the restoration work. CIR thanks all the volunteers and REI for making these trips possible! Volunteers from the Santa Barbara Zoo plant natives near the historic lighthouse.